Rely on our extensive (and growing) number of services to help you meet any electronic assembly acceptability standard. 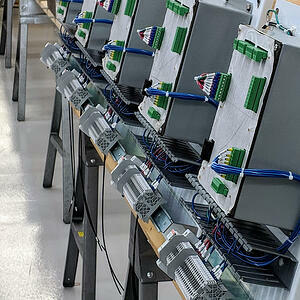 We produce between 800 and 1,000 unique electronic assemblies every year. Typically, 25% of these are new to the market or our operation—that’s a lot of churn. And it’s a big reason why we understand small batch electronic assemblies better than anyone—and why we’re known as the small batch experts. Contact us to find out what combination of services below will best meet your specific small batch needs.